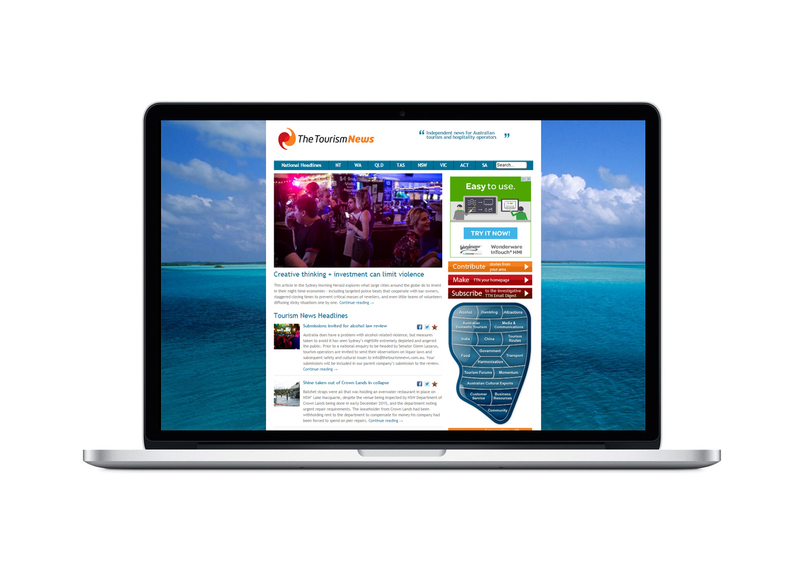 The Tourism News is a news website targeted at the 96000 small tourism operators in Australia. Most news websites are full of ‘native advertising’ and promotional stories – stories that aim to sell products, rather than inform. The Tourism News aims to tackle the underlying issues in tourism, especially policy. Read The Tourism News here, follow The Tourism News on Twitter, Facebook or Instagram, and please use our contact form to alert us to any tourism issues in your area. The Tourism News reaches ave. 14 000+ unique readers across Australia every day (Apr 2018). Readers are affluent, driven, 30-50yo men and women. They are the decision-makers in their own tourism-related industry businesses. The Advertising product is effectively a site wrap – your 260×216-pixel tile is prominent on every page. The tile will link to a web page of your choosing, the only advertisement adjacent to content. If you don’t have any advertising tiles ready to go, our skilled team can create one for you for an additional $200. Your ad will appear on 28 pages; The Tourism News home page, eight state pages and 18 category pages. Advertising is AUD $2000 (no GST) per month. Please contact 0400180001 or email info@thetourismnews.com.au to advertise. Podcasts have hit their stride – millions of people listen to short and long stories on niche subjects direct from their phones. Tourism Conversations episodes have 5-star ratings on iTunes. Since Podcast advertising is new to many people, we are offering sponsorship of Tourism Conversations, including ‘top and tail’ 30-second brand ads, plus a mid-section 30s ad for Season 2, to be released July 2018 for AUD $1000 (no GST). Target tourism operators with The Tourism News and Tourism Conversations.